Me: Beware people, do never underestimate the pewer of the dork side. 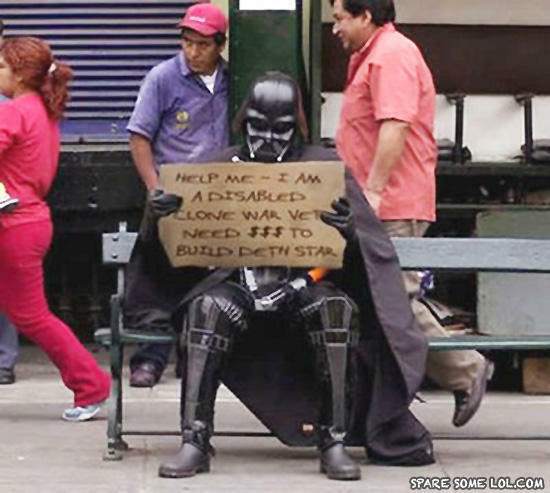 Moral: Will sell awesome suit for 1000 "dollers"
Vader: "20 years or so of alimony and allowance and then... I knew I should just have killed Luke when I had the chance" Moral: When did you have the chance? Me: I guess its too late to join the dark side now huh?